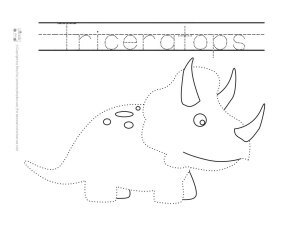 Let’s have some tracing fun with the dinosaurs! 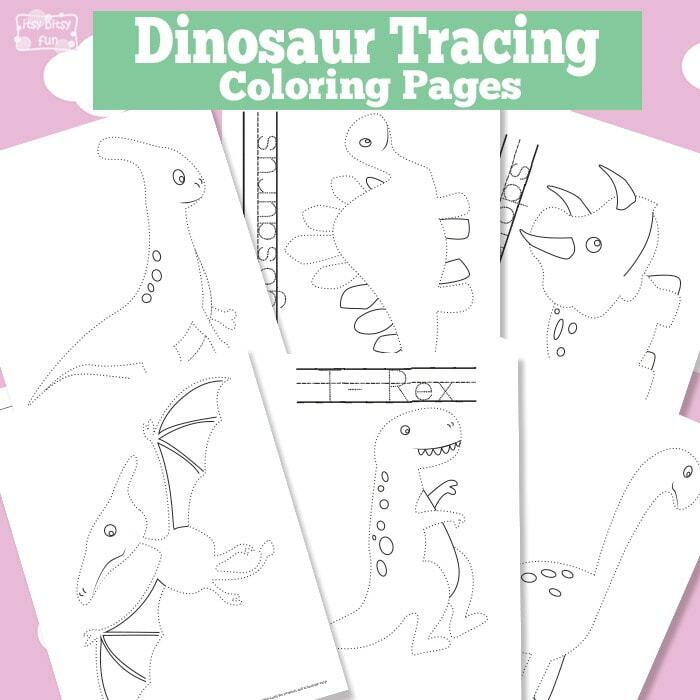 These dinosaur tracing coloring pages are a great pre writing practice and super fun too! 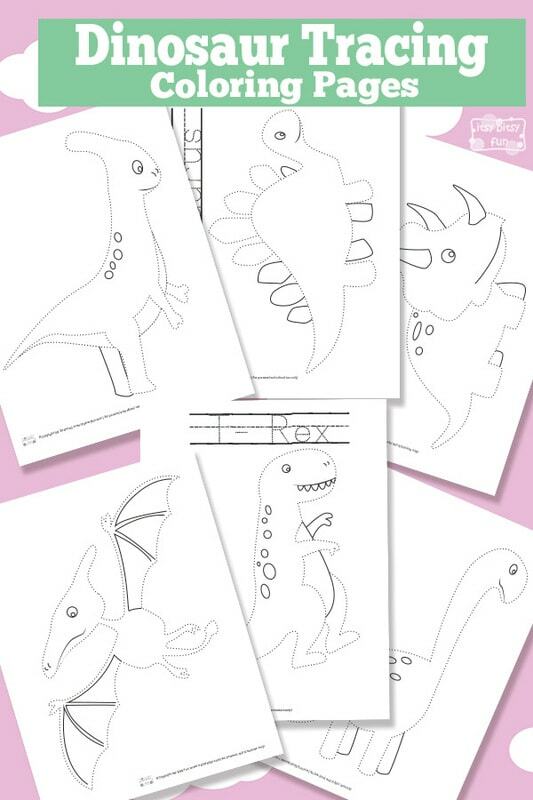 These worksheets for kids will keep them engaged as after all they do have awesome dinosaurs on them – I mean who doesn’t love dinosaurs! There’s also some letter tracing included on some pages for the “more eager to start writing” ones! Dinosaurs are fun all year round and have been awesome for decades (I was crazy about them when I was a kid – true that wasn’t many decades ago – I think I was 7 when Jurassic Park hit our local cinema and the super dino craze began). This pack has 6 pages! 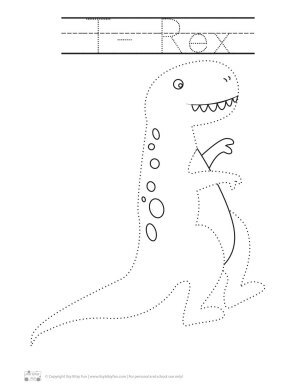 The shapes are fairly easy to trace although a few dinosaurs have their tricky parts. I would suggest you laminate these so that your kids can trace them over and over again (unless you’ll use them as coloring pages, well and even then if you have enough colored markers). I honestly can’t say which of these is my favorite one – it’s a tough battle between t-rex and triceratops as both are pretty sweet. 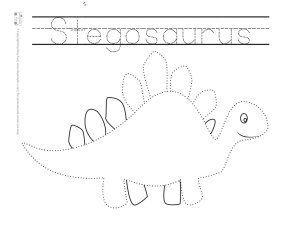 Print These Dinosaur Tracing Coloring Pages Now! 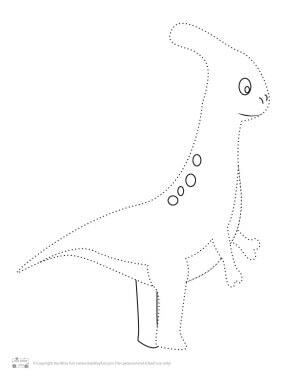 Get your free printable Dinosaur Tracing Coloring Pages here. Love to color? 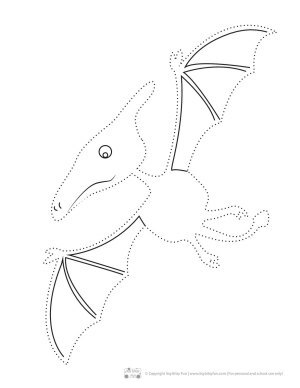 I’ve got a bunch of awesome looking free printable dinosaur coloring pages waiting for you! 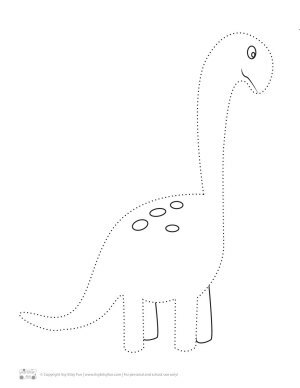 Also check this printable dinosaur preschool pack or these dot to dot pages for even more fun!